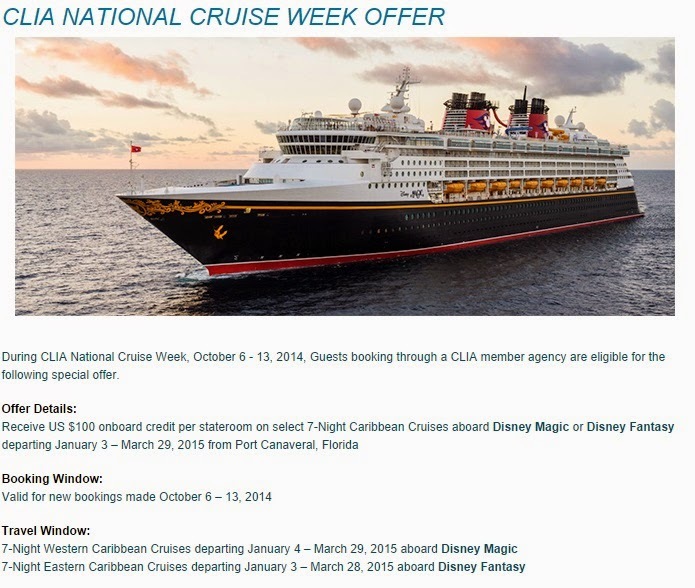 Disney Babies Blog: Cruise Offers!! Have you been considering taking a Disney Cruise? It may be time to book!! Disney Cruise Line is offering a $100 onboard credit per stateroom on 7 night cruises, just for booking October 6-13, 2014! Add to that the OnBoard Credit that we offer at Guru Travel (find that here), this may be the perfect time to book!! Email me, JennL@thewdwguru.com for your free, no obligation price quote! I would love to help you plan a magical vacation!